Unless you’re into sweet sweet schadenfreude, there haven’t been many reasons to watch the Yankees this year. 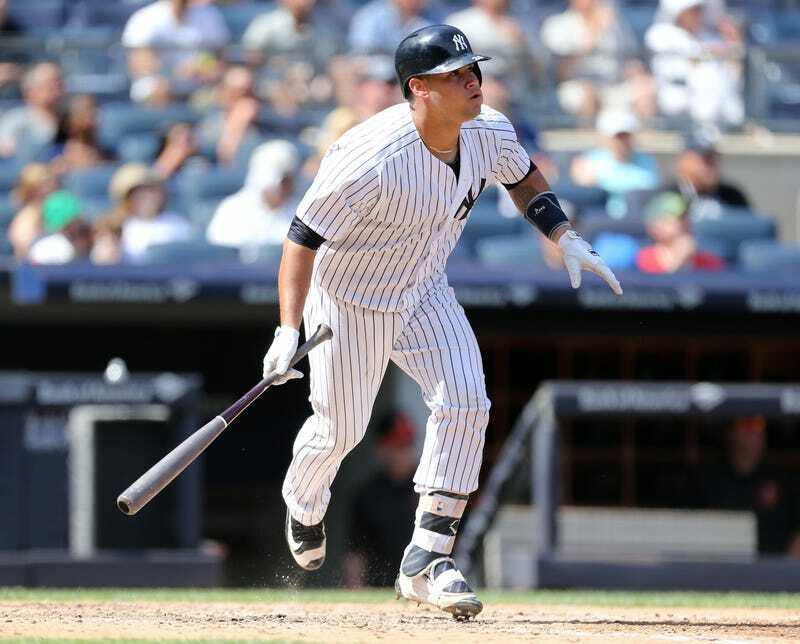 But the last few weeks have been a little different, courtesy of rookie catcher Gary Sanchez and the 2004 Barry Bonds-esque stat line he’s put up. Sanchez hit his 11th home run in Saturday’s win over the Orioles—in the 23rd game of his career, faster than anyone in MLB history. And he’s not just hitting for power, he’s hitting pretty much everything. Like, .403/.459/.883 kind of everything. It’s a small sample size, sure, but pointing out that he has an OPS of 1.342 (1.342!) is way more fun than pointing out that it’s only been three weeks. While the fact that his triple-slash is this absurd is a surprise, the fact that Sanchez can hit is not. Though questions about his defense and his work ethic chased him throughout his last few years in the minors (and he never quite got away from that unfortunate Jesus Montero comparison hanging over his head), his bat meant that his status as a top prospect was never much in doubt from the time he signed with the Yankees as a 16-year-old out of the Dominican Republic in 2009. Will The Yankees Get Out Of Their Own Way And Be Sellers? What, Like You&apos;ve Never Taken A Headfirst Dive Into The Yankees&apos; Dugout?